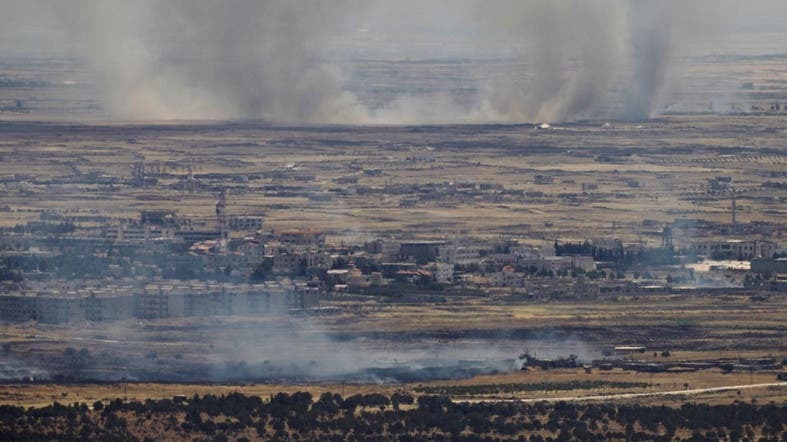 The Israeli army attacked Syrian government artillery on Saturday after fire across the armistice line hit the Israeli-occupied Golan Heights and warned it would intensify such retaliation in the future. The Syrian government controls only party of the territory on the other side of the line, with the rest in the hands of rebel groups, one of them affiliated to ISIS. “In response to the projectiles that hit Israel, the IDF (Israel Defence Forces) targeted three artillery cannons of the Syrian regime in the Syrian Golan Heights,” it said. It also acknowledges carrying out dozens of air strikes against Hezbollah forces in Syria to stop what it calls advanced arms deliveries to the Lebanese Shiite militant group, which is a key ally of the Damascus government. Israel fought a devastating 2006 war with Hezbollah and has voiced concern that the group’s involvement in Syria risks opening up a new front. Israel seized 1,200 square kilometers (460 square miles) of the Golan Heights from Syria in the Six-Day War of 1967 and later annexed it in a move never recognized by the international community.